Digital UK, the organisation responsible for managing the UK's digital terrestrial TV platform, has launched a new look website. Although there had been some changes to the website in the last four years, many of its design elements reflected the look of the site when it was the main consumer facing site of the digital switchover campaign. 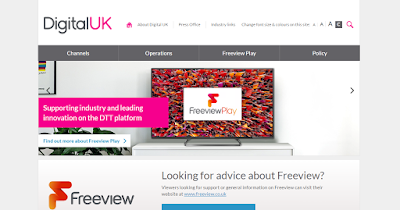 With consumer advice and news about digital terrestrial television now covered in depth by the Freeview website, the homepage of Digital UK now brings the industry and policy elements of the organisation's role to the forefront. 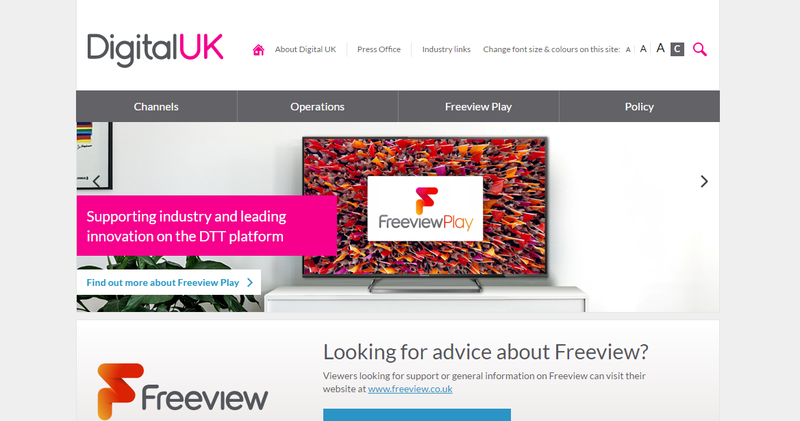 The official Freeview coverage checker from Digital UK has also got a new appearance, although the underlying functionality remains the same. When we checked, the coverage checker hadn't yet been updated to reflect some recent changes, including the activation of the local TV multiplex in Teesside.